It wouldn’t be the New Year, if there wasn’t some new update on one of the many social media outlets we adore. Last week, Twitter announced that it’s getting rid of the 140 character limit that we’ve all grown accustomed to, and may possibly increase the character limit to 10,000. That being said, the limit may fluctuate before it’s launched, so many people have been referring to the update as “Beyond140.” The launch date for the new feature has not been announced but Twitter is aiming for it to be released at the end of Q1. Don’t worry no one will be forced to read any essays, if they don’t choose too. The Twitter feed will pretty much appear the same, only displaying 140 characters with the new addition of a call-to-action button like “continue reading.” This will then expand the remainder of the tweet, and users will be able to read away! Keeping the 140 characters limit in Twitter feeds will help maintain the look and feel of the platform but we will no longer have to feel the stress of trying to squeeze our thoughts and expressions into only 140 characters. Here are some helpful insights on Twitter’s latest update and three ways it can be implemented into your brand. Social Importance Grows - Meaning this is just one more reason for companies to take social media seriously. This update will allow businesses to further connect with their community by listening closely and managing the journey of its followers. 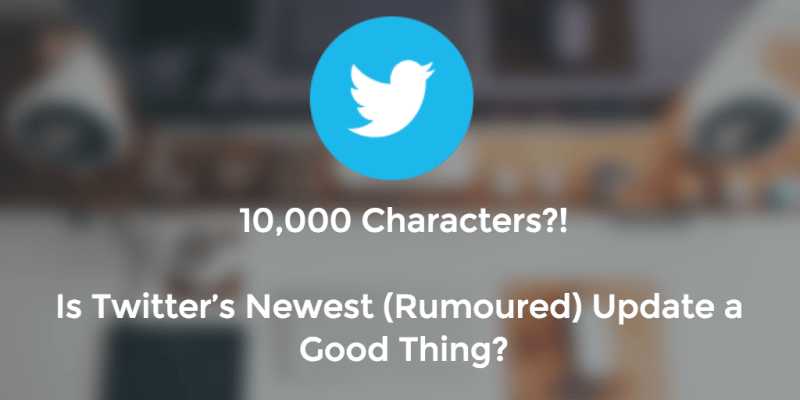 Increasing the character limit up to 10,000 may be a lot but there shouldn’t be a limit on self-expression. Lets take this grand opportunity as public relations and marketing specialists and use to it the best of our ability. This isn’t just about branding a company, it’s about catering to our customers. If you enjoyed this blog post and want to learn more about Twitter’s update and how it can benefit your brand, check out the sources that were used: Re/code and SocialBro. Symeria Palmer is an Account Coordinator at Trevelino/Keller. She is passionate about traveling the world and enjoying life’s treasures.